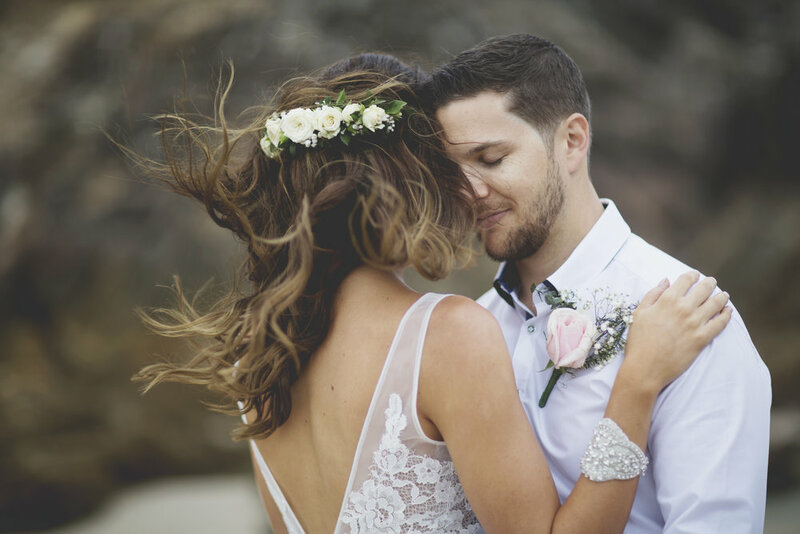 Wedding photos that capture the essence, feeling and details of your one amazing day. It’s a little bit photojournalistic, pretty and a whole lot of fun. The best memories come from actual memories, the moment he sees you, the moment you put that ring on her finger, the sneaky tears that Mum tries to hide; not from standing around in too many silly poses capturing clichéd images. So we will capture the former and kick all of the latter to the curb, together. Let me tell a story, your story. In the morning, getting ready, arriving and gazing at one another, tying the knot, kissing, hugging, congratulating, families, bridal parties, kids, adults, landscapes and arrival at the party of your dreams. I am there. I will keep the men folk happy as I like to work quickly, It is the one day you have as many of the people you love in the same room as humanly possible; you don’t want to be spending too much time with me... but that won’t mean you miss out. The day will fly by and be over before you know it, so let me capture the details, allowing you to relive the moments over & over again & maybe even discover a few you missed.